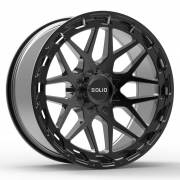 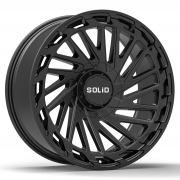 Koko Solid Off Road Wheels Rims | Wheel Specialists, Inc.
Utilizing the latest forge-hybrid, flow-forming technology, SOLiD FF (Flow Form) wheels are 20-30% stronger and lighter than other cast wheels. 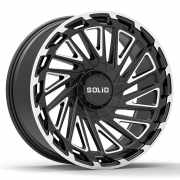 The Flow Form manufacturing process maintains the integrity of the design, while improving the grain structure of the aluminum, creating a stronger, lighter and thinner barrel. This new forging technology allows our wheels to achieve a massive lip up to 8 inches. 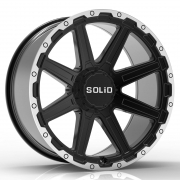 You like SOLiD OFF ROAD wheels? 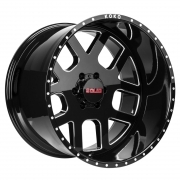 Here are some other brands you may like BLACK RHINO, HEAVY HITTERS, HOSTILE, MKW OFF ROAD, RBP OFF ROAD.